While flying to an annual police convention in New York City, Charlie Chan meets his old friend, Hugh Drake. Formerly an inspector for Scotland yard, but now, during the war in Europe, a British intelligence officer, Drake is on the trail of Paul Narvo, a spy who has been sabotaging U.S.-built bomber planes bound for England. Drake, suspecting that Narvo is responsible for the recent crash of the TR-3 bomber in New York, is also on his way to that city. 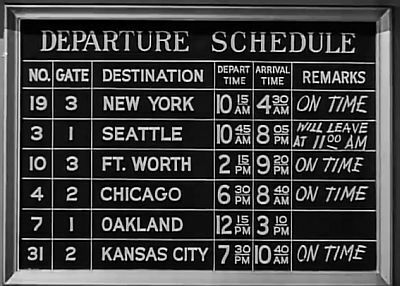 At the airport in New York, Drake is met by his host, aircraft tycoon George Kirby, who invites Chan to a party that he is giving for Drake. Later that night, following their dinner at the police banquet, Charlie Chan and son Jimmy arrive at Kirby's party. 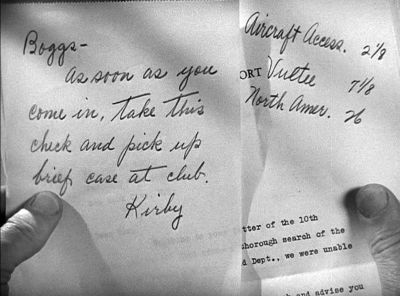 As they are shown into Kirby's office where Drake is waiting, they are shocked to find the intelligence officer dead. While it is first suggested that Drake had died of a heart attack, Chan discovers that the bird in a nearby cage has also died. "Canary, unlike faithful dog, do not die for sympathy," says the detective, revealing that Drake has been murdered by a poison gas pellet, the pieces of which are found, and it is Jimmy who notes the telltale smell of tetrogene gas. 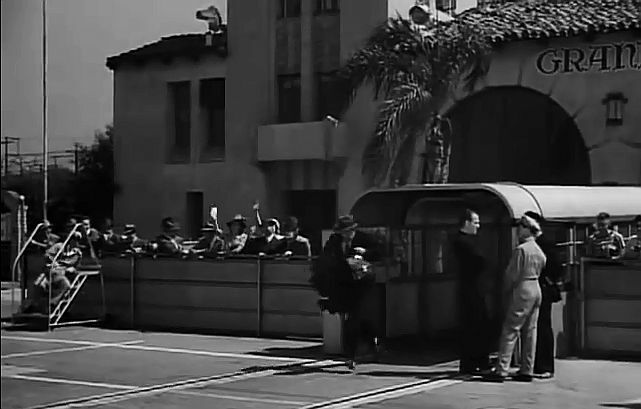 Aided by police inspector Vance, Chan interrogates the guests, who include Herbert Fenton, Drake's old school friend; actress June Preston; stockbroker Keith Jeffrey; Ralph Percy, an aircraft designer; and Kirby's butler, Boggs. Learning little from the guests, Chan tracks down Narvo's ex-wife, Patricia Shaw, who explains that she had fled her husband and his sinister servant, Ramullah, upon learning that he was a spy. Chan also questions David Elliott, a chemist who had visited Drake shortly before his death. After Chan's search for Ramullah ends in the servant's death, and Kirby is found poisoned, Chan assembles all of the suspects aboard the new TR-4 bomber. Secretly, the night before, saboteurs had positioned a poison gas-filled glass pellet which is set to break when the plane goes into a dive. The guests, believing that they are there only to see the plane on the ground, are alarmed as the engines start and the bomber takes off with all aboard. As the plane levels off at 15,000 feet, Chan observes the reactions of those around him. Suddenly, the plane goes into its dive. As the glass pellet drops, Fenton quickly catches it, threatening everyone that he will drop it if captured. The plane returns to the airport, and, as it comes to a stop, Fenton suddenly exits the bomber, tossing the pellet inside and slamming the door. However, the police are waiting, and grab Fenton. 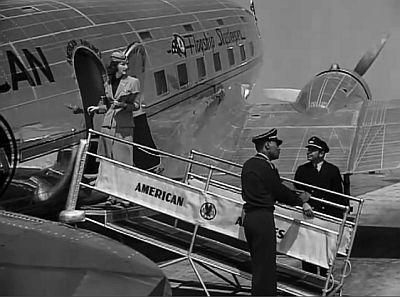 Chan and the others emerge unharmed from the plane, as the detective explains that he had discovered the poison gas pellet earlier that morning, and had replaced it with a harmless facsimile. Chan also declares that Fenton is too old to be Narvo. Back at police headquarters, while Fenton is being questioned with the remaining suspects present, Chan tricks the real Paul Narvo into revealing himself. Just as Fenton is about to drink from a cup of water that Kieth Jeffrey has brought for him, Chan stops him. Examining the liquid, the detective declares that it has been poisoned, exposing Jeffrey as Narvo. NOTE: The working title of this film was Charlie Chan in New York. According to Fox publicity material contained in the Academy of Motion Picture Arts and Sciences Library files, the studio changed the title in order to prevent the public from confusing this film with other Chan features. Officer of law cannot escape long arm of same. Needle can be found when correct thread located. British tenacity with Chinese patience like royal flush in poker game - unbeatable. Canary, unlike faithful dog, do not die for sympathy. Coincidence like ancient egg - leave unpleasant odor. Nut easy to crack often empty. Fresh weed better than wilted rose. Person who ask riddle should know answer. Happy solution never see light if truth kept in dark. One man with gun have more authority than whole army with no ammunition. Anything can happen in hour's time. Door of opportunity swing both ways. Wishful thinking sometimes lead to blind alley. Faces may alter, but fingerprint never lie. Important events, like insistent alarm clock, demand attention. Same leopard can hide beneath different spots. Kitchen stove most excellent weapon - good for cooking goose. Desire to live still strongest instinct in man. Trick sometimes necessary in order to trap criminal. (Jimmy: "What are you going to do with all of your collection of keys to cities?") No good as doorstops. Perhaps make excellent teething rings for future grandchildren. (Inspector Vance: "What are we going to do, have a family picnic?" [regarding Chan's desire to have all suspects gather at the airport]) Very good idea. Perhaps locate "bad egg" in picnic basket. Charlie Chan arrives in New York, and immediately is drafted to unravel the mystery of a spy ring that is directed against the airplane industry, especially bombers designed for England. Story is regulation formula for the Chan series, and will satisfy the followers of the series as whodunit entertainment. Picture, in tying in current sabotage activities of foreign agents, also carries the usual number of murders to mystify the audience - and Chan's No. 2 son, Jimmy. As usual, the latter stumbles along the trail, as excess baggage assistant for his father, but is in for the final disclosure of the real culprit. Mysterious goings-on under the nose of Chan fails to upset his stoic pose. Arrival of British Intelligence officer Frederick Worlock sets off the string of murders and plottings. Worlock is the first to be bumped off, with plenty of suspects handy to confuse the amateur sleuths. 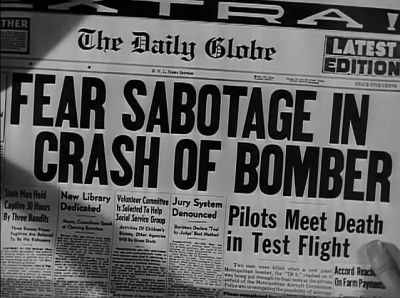 But Chan plods through and eventually discloses the leader of the spy ring in a test flight of a new bomber which carries all of the suspects aloft over the city. Harry Lachman directs to point up the meller angles of the plot without detours. Cast is okay for requirements and photography is standard. 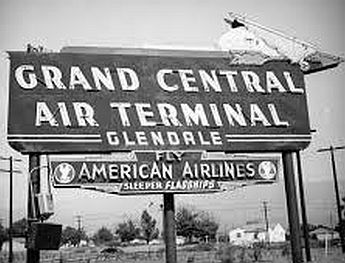 THE SCHEDULED DEPARTURE TIME OF FLIGHT 19: 10:15 a.m.
A Los Angeles-area advertisement billboard circa 1940. CHARLIE CHAN'S REASON FOR TRAVELING TO NEW YORK CITY: "Must attend annual police convention..."
THE REASON, ACCORDING TO HUGH DRAKE, THAT HE WAS NO LONGER WITH SCOTLAND YARD: "...I moved over to the Intelligence Department over a year ago." 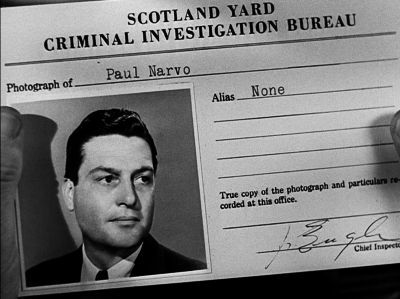 ACCORDING TO HUGH DRAKE, WHEN PAUL NARVO "MURDERED AN OFFICIAL OF THE BRITISH AIR MINISTRY": "...three years ago." THE PLACES, ACCORDING TO HUGH DRAKE, THAT HE HAD GONE FOLLOWING THE TRAIL OF PAUL NARVO'S WIFE, AS STATED BY HUGH DRAKE: "I followed her to Shanghai where she was working in a cabaret, to Bombay where she was a secretary, to Copenhagen where she was an elevator girl, then back to the orient, and back across to San Francisco." GEORGE KIRBY'S ADDRESS AS STATED BY HIMSELF: "...Courtney Arms Apartments on East 67th Street." 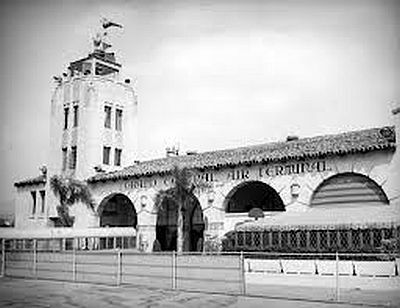 THE REASON, GIVEN BY JIMMY CHAN, THAT HE HAD COME TO NEW YORK FROM LOS ANGELES: "...my roomate at college was driving east, and he asked me along to see the World's Fair." THE TIME AS HUGH DRAKE HAD EXCUSED HIMSELF FROM THE PARTY TO DO SOME WORK IN GEORGE KIRBY'S LIBRARY: 9 p.m. ACCORDING TO CHARLIE CHAN, THE COURSE OF STUDY TAKEN BY SON JIMMY IN COLLEGE: "Number two son student of chemistry..."
THE FINDINGS OF HUGH DRAKE'S AUTOPSY, ACCORDING TO INSPECTOR VANCE: "The autopsy shows gas in both lungs." THE ITEMS BELONGING TO HUGH DRAKE THAT WERE FOUND IN THE WALL SAFE, AS NOTED BY INSPECTOR VANCE: "Passport, traveler's checks, cash, a guest card to the British Imperial Club." CHARLIE CHAN'S COMMENT REGARDING JUNE PRESTON: "Miss Preston play engagement in Honolulu last season." JUNE PRESTON'S STATED REASON FOR HAVING BEEN IN HONOLULU: "I stopped off on my way to Australia." THE TEXT OF THE WESTERN UNION CABLEGRAM FROM SCOTLAND YARD THAT HAD BEEN OPENED THEN RESEALED BY BOGGS, AS READ BY INSPECTOR VANCE: "Acknowledge inquiry regarding Robert Boggs. Will forward information immediately." 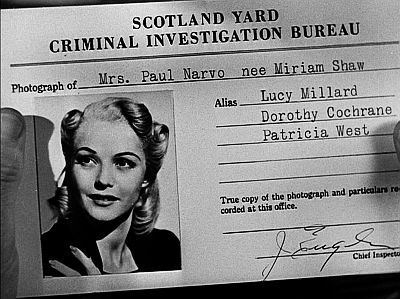 THE POLICE OFFICER'S DESCRIPTION OF DAVID ELLIOT: "28 years old, six feet tall, black hair, and..."
THE TIME THAT, ACCORDING TO JUNE PRESTON, SHE HAD LAST PLAYED IN A THEATER IN LONDON WITH PAUL NARVO'S WIFE: "...five years ago." JUNE PRESTON'S ADDRESS, ACCORDING TO GEORGE KIRBY: "Roxbury House on Sutton Place." PATRICIA WEST'S ADDRESS, ACCORDING TO JUNE PRESTON: "She lives in a rooming house at 21 Washington Square." THE ACTUAL IDENTITY OF "THE GREAT RACHID": "Shorty" McCoy, "The Canarsie Kid"
THE TIME THAT THE AUCTION HAD ENDED AT AGA SINGH'S CURIO SHOP THE NIGHT BEFORE: 11 p.m. 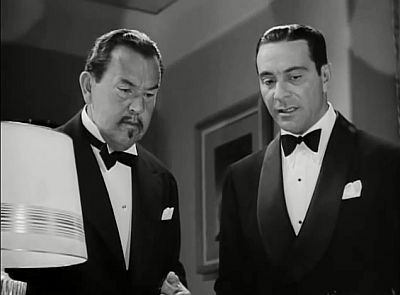 THE TEXT OF THE SECOND CABLEGRAM FROM SCOTLAND YARD AS READ BY CHARLIE CHAN AND SON JIMMY: "Recent information proves Robert Boggs falsely convicted." ACCORDING TO FRANKY O'SHAUNESSY, THE AMOUNT OF TIME HE HAD BEEN WAITING TO SEE INSPECTOR VANCE: "...over 34 minutes..."
THE TIME AS HUGH DRAKE LEFT HIS BRIEF CASE AT THE BRITISH IMPERIAL CLUB, ACCORDING TO FRANKY O'SHAUNESSY: "...about 5:30 yesterday afternoon." ACCORDING TO DAVID ELLIOT, WHEN GEORGE KIRBY HAD TELEPHONED HIM TO MEET HIM AT HIS RESIDENCE: "...about 15 minutes ago." JUNE FENTON'S "PET NAME" FOR HER HUSBAND, HERBERT: "Snooky"
THE SCHEDULED TIME FOR THE TEST OF THE TR-4 BOMBER: 10 a.m.
Jimmy Chan: "Well, I thought it was him until I saw this bird." Canarsie - A section of Brooklyn, New York. Lefty: "Well, this is 'Shorty' McCoy, the 'Canarsie Kid.'" 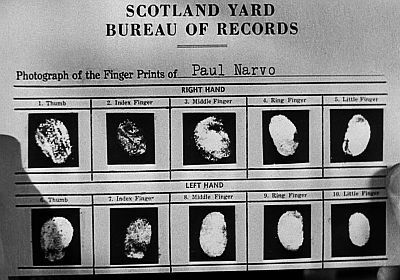 Jimmy Chan: "With Narvo's photograph and fingerprints, it'll be a cinch." Jimmy Chan: "Just as I stepped in the elevator, he conked me!" Inspector Vance: "I'm going to pull a fast one, Charlie." Kieth Jeffery: "Probably some more of that fifth column work." Jimmy Chan: "I'll never go on a case like this again without a gat." 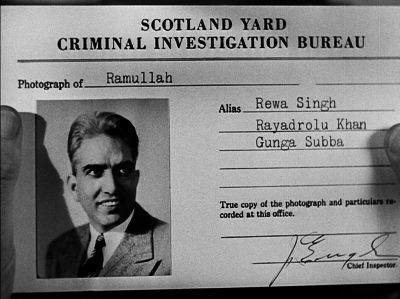 Inspector Vance: "Say, don't you think the guy that gave you the slip at Ramullah's could be Boggs?" Patricia West: "...his Hindu servant, Ramullah, arrived." Charlie Chan: "Very beautiful lavalier." mug - (Informal) The human face. Inspector Vance: "We're going to start with a little cleansing of your mug." socked - (Slang) Hit by a hard blow or punch. Jimmy Chan: "Somebody socked me on the head and stole the briefcase!" sprung - (Slang) To have caused to be released from prison or other confinement. Inspector Vance: "And to think I had that guy sprung." tetragene - A ficticious poisonous gas. Jimmy Chan: "It's [tetragene] a new gas discovered only a few months ago...It kills with one whiff, and then evaporates quickly, leaving a slight, harmless scent."